old STEAM LOCOMOTIVES in South Africa: Allanridge: (old) Mine Club House - ex-Loraine Gold Mine No 1 - 4-8-2T NBL "Pauline"
Allanridge: (old) Mine Club House - ex-Loraine Gold Mine No 1 - 4-8-2T NBL "Pauline"
In July 2011 Rick Turner sent me a photo with these comments: Saw your web site and thought that I'd contribute this - a tank loco that we used to use on Loraine Gold Mine in Allanridge (north of Odendaalsrus) in the Vrystaat during the 1980's for hauling ore cars on the surface from the #3 shaft to the plant at #1 shaft, where this picture was taken. It dates from 1983 some time - looking at the clear blue sky and light it would seem to be winter, so around the middle of that year. I don't have any more info on the loco unfortunately, nor do I know where it now is. This 4-8-2T locomotive, supplied new to Loraine Gold Mine as No 1, was built in 1951 as works no 27090 according to the standard NBL 20" x 24" design. 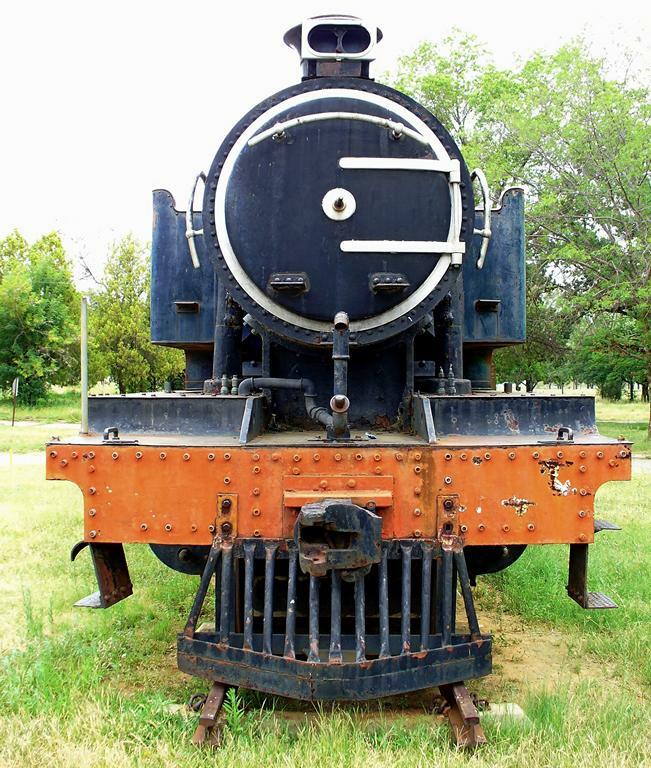 Somewhere during its history it also picked up plates from NBL 27404, which served as No 2 at the mine. 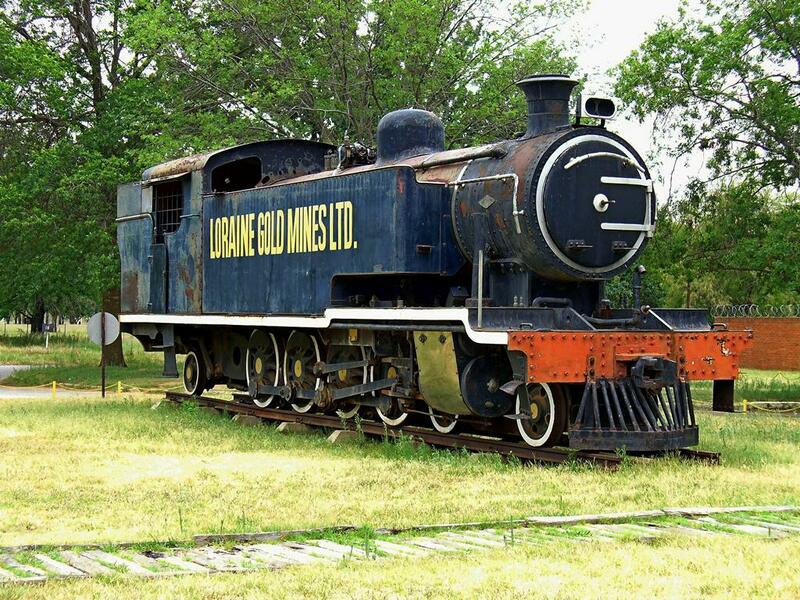 By 1991 No 1 was plinthed outside the mine offices. 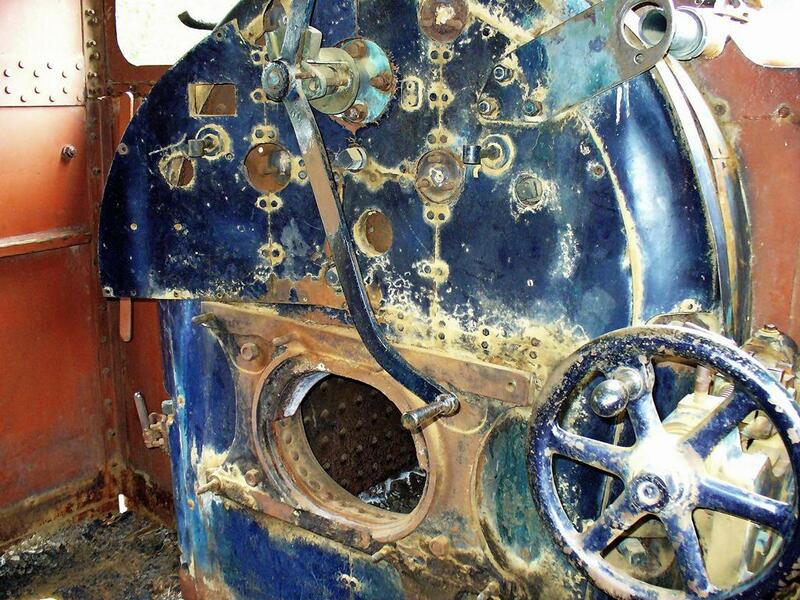 During its working life, it would have hauled reef over a distance of 8km between 3 shaft and 1 shaft at Allanridge, where the offices, workshops, loco shed and reduction plant were located. 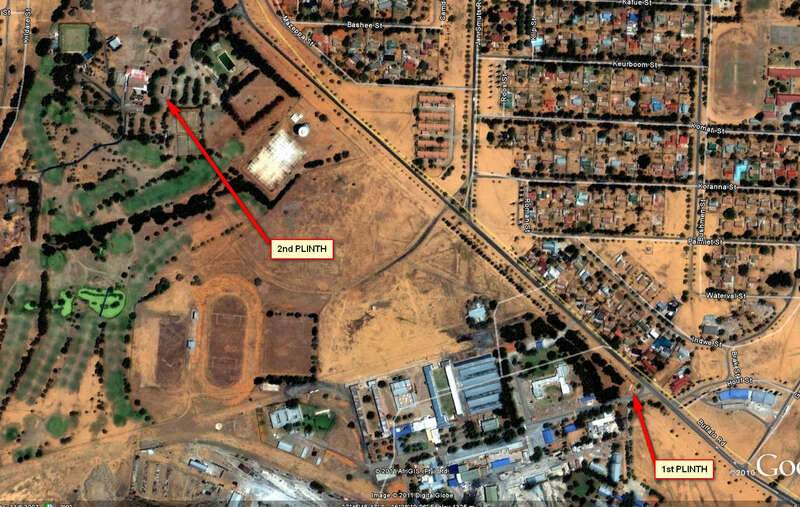 At 3km there was a 4km branch which lead to an exchange siding with the SAR. The Loraine Gold Mine was popular with photographers as a dirt road along the mine's railway provided many vantage points. Also the locomotives were kept in immaculate condition! Donald Bell reported on the web on 17/1/2002 he visited: Loraine Mine Allanridge (Target Gold) has closed and the railway lifted. The loco shed was well locked and in a compound, with track lifted. The preserved 4-8-2T Loraine 1 (two smokebox plates NB 27090/51 and one cabside 27404/54) has been moved 50 metres and through 45 degrees since my last visit. I consulted with Jacque Wepener, who is the specialist on things railways in the Free State, and he in no time provided me with photos and information about the whereabouts of this locomotive: Currently it is plinthed at the old Mine Club House at Allanridge, and had been there for more than 10 years - it was moved there when access roads were re-built. 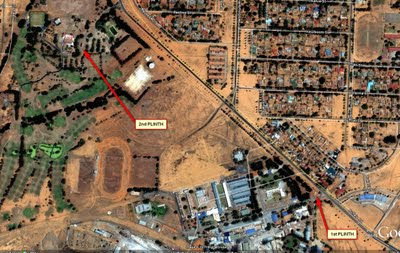 The following four photos, which were all taken on 10 January 2008, are courtesy of Jacque Wepener. 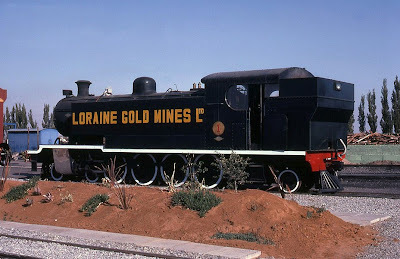 This builder's plate appears on the locomotive's cab, and actually belongs to the original Loraine Gold Mine No 2 NB locomotive built 3 years later in 1954. 11-08-2003 Google Earth view of the old mine's club including the golf course, the town on the right, at the bottom of the image the workshops and offices of the old mine can be seen.